The power of the feminine lies in the rhythm of your true nature, in the knowing of oneself so intimately, in the self-honoring for the wisdom you have earned along your journey, and in the feeling that your power lies so subtly and deeply within your heart and you really do own it! As a weekly yoga class or private yoga sessions it is a magnificent practice of yoga, meditation, chanting, sharing, and learning about the mysteries of being a woman and the power that lies in each of us to flow creatively through each phase of our lives. I bring in the phases of the moon as well as astrological influences that are supporting us in our inner growth and awareness of the changing events and emotions of our lives. Yoga is a magnificent tool that is meant to be used in conjunction with our cycles (not against them as so often happens) to encourage a deeper awareness of who we are and what we need to step more fully into our wisdom as a woman. 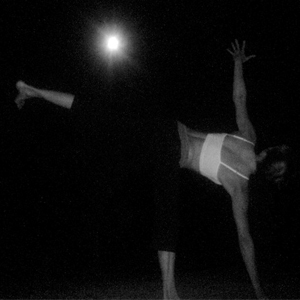 When practiced in conjunction with the rhythm and phases of the menstrual cycle, poses like arm balances, inversions, backbends, hip openers, twists and restorative yoga, all have the potential to support a woman in her health as well as awaken in her the potent power of her feminine energy. Our cycles are blessings, not meant to be curses, that offer us a powerful tool of awakening and insight when we understand them and know how to respond to the changes that occur from menstruation to pregnancy to menopause and beyond. Problems associated with these phases are just opportunities to gain a deeper awareness of our emotional needs, our health and of the power we have to create the life we know deep down we long for! Issues like PMS, uterine fybroids, cysts, endometriosis, fertility, etc as well as pregnancy and menopausal concerns are addressed to gain a deeper understanding of what these issues mean for you and how to deal with them effectively. *** I also teach Feminine Power Yoga as a private yoga class personalized for your own life and cycle, as a weekend workshop of 4 classes or as a series of 4 private classes held in conjunction with the moon cycles. Contact me to reserve this beautiful and empowering program for the women of your yoga community!